One of the biggest markets for tea is the U.S., where Americans drink 3.6 billion gallons annually and supermarket sales top $2 billion, according to the Tea Association of the USA. On May 23, Unilever announced its venture into a tea research and development program aimed at safeguarding the future tea supply using new plant breeding methods that will lead to improved and sustainable tea varieties. By naturally diversifying tea plants to enhance its productivity, quality, and overall sustainability, the project will help protect the supply of the world’s most popular beverage for generations. The project is also aimed at stopping any decline in tea crop diversity that could limit the crop’s ability to withstand drought, disease, and pests in the future. To help bring this project to fruition, Unilever partnered with Nature Source Genetics. This company uses computational genomics to develop and apply new algorithms designed to harness natural genetic variation in the improvement of plant and animal species for agriculture and industry. The ability to grow more on less land, further reduce the need for agrochemicals, and boost tea’s tolerance to drought and climate change are integral to this project and are in line with Unilever’s sustainable sourcing aims under the Unilever Sustainable Living Plan. How are optical sensors improving the quality of tea and other beverages? The focus on sustainability in the tea market is on the forefront of Colin Orians’ mind, as well. In January of this year, a research team headed by the Tufts University biologist announced that it is developing a four-year project funded by a $931,000 grant from the National Science Foundation. 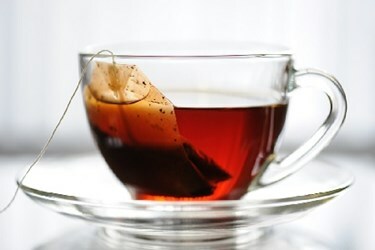 The project will examine how climate change affects the concentration of chemical compounds that are responsible for tea's stimulant, sensory, and healthful properties. The study findings may also help scientists and growers better understand climate change's effects on other agricultural products, such as grapes and cherries.